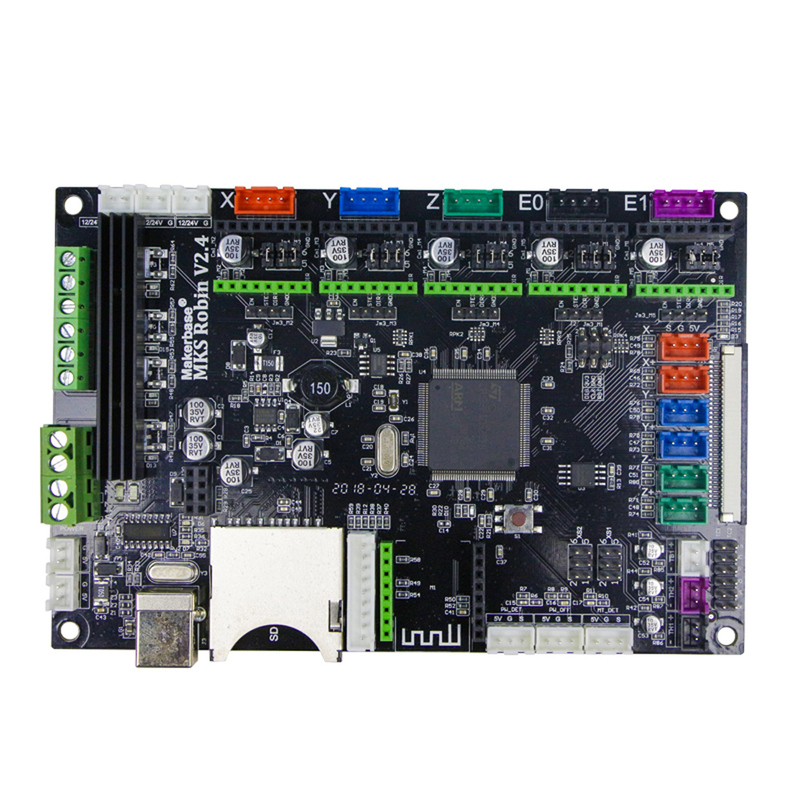 - Use 32-bit high-speed ARM as control chip, run the independently developed firmware. - With 3.2inch TFT touchscreen, simple operation interface, and high sensitivity. - Available to plug high-speed WIFI module, access cloud server, and realize the new function of Remote Print the Cloud models. - Allowed to self-design the interface of the initial logo and all the buttons. - Support stepper driver replacement. Such as A4988,DRV8825,TMC2100,as well as TB6600,etc. - Use high-quality MOSFET, better cooling. - Use specialized power chip, support 12V-24V power input. - Support 24V input, the heated bed current is reduced to 1/4 in the same system power, which effectively solve the heat problem. - Support the following functions expansion: print from the breakpoint, save from the power outage, filament outage detection, and auto-off after printing finishes. - Update the configuration by SD card, easily operate.